Adonis influence on Arabic literature has been likened to that of T. S. Eliot in the English-speaking world. Yet alongside this spearheading of a modernist literary revolution, the secular Syrian-born poet is also renowned for his persistent and staunch attacks on despotism across the Arab world. In these conversations with the psychoanalyst Houria Abdelouahed, Adonis brings into sharp relief the latest wave of violence and war to engulf Arabic countries, tracing the cause of ongoing tensions back to the beginnings of Islam itself. Since the death of the prophet Muhammad, Islam has been used as a political and economic weapon, exploiting and reinforcing tribal divisions to aid the pursuit of power. 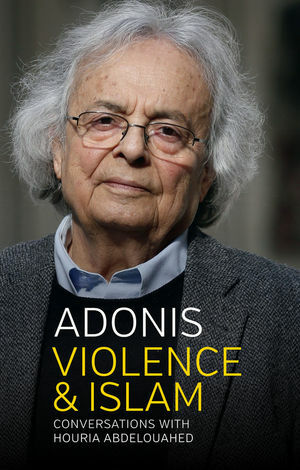 Adonis argues that recent events in the Middle East  from the failures of the Arab Spring to the rise of ISIS and the bloody war in his native Syria  attest to the destructive effects of an Islamic worldview that prohibits any notion of plurality and breeds violence. If there is to be any hope of peace or progress in the Arab world, it is therefore imperative that these mentalities are overcome. In their place, Adonis urges a new spirit of enquiry, embodied in the freedoms to interrogate the past and to question cultural norms. Adonis penetrating analysis comes at a critical time, offering an alternative path to the cycle of violence that plagues the Arab world today. What does the foundational text say?